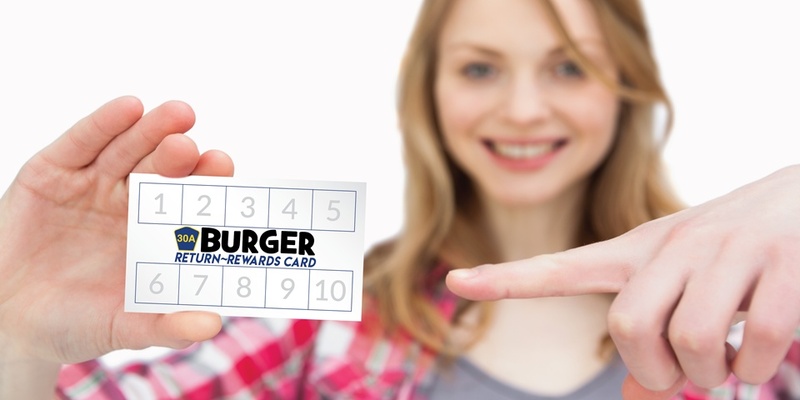 30A Burger Return~Rewards Card | Get your Free Burger! Pick up the loyalty card that rewards you with a complimentary sandwich every ten visits! 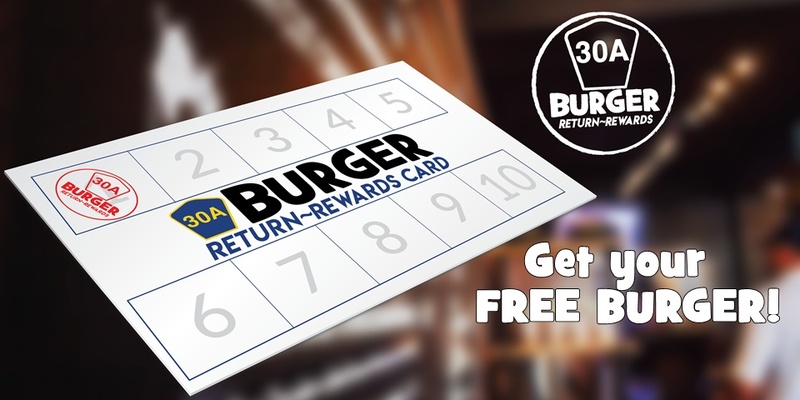 The 30A Burger Return~Rewards Card is completely free to all customers, no registration or account required. To get your free sandwich, just pick the card up on your next visit and start dining your way to your reward. 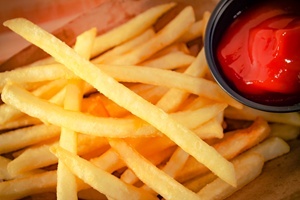 Get your free burger! Your Return Rewards Card is 100% free, no account or registration required. The details: Minimum purchase required to receive one stamp: One non-child sandwich per visit per day. When ten purchase slots have been stamped by 30A Burger, card bearer receives one free sandwich upon the following visit. May not be combined with any other offer, promotion or discount. Non-original or photocopied cards not valid. Card has no cash value. 30A Burger is not responsible for lost, stolen or damaged cards. Card will be redeemed at discretion of 30A Burger management. Other restrictions may apply. This card is only valid for redemption at 30A Burger located at 30Avenue, 12805 US Hwy 98 E, Suite E101, Inlet Beach, Florida, 32461. More information, questions or comments call 30A Burger at 850 909-0600.